Vietnam veterans were exposed to Agent Orange and other herbicides during their military service. As a result of this exposure, many veterans developed serious medical conditions including certain types of cancer, heart disease, and diabetes. VA has developed special rules for determining whether Vietnam veterans have to prove their exposure to Agent Orange or are presumed to be exposed. These rules primarily depend on whether the veteran served “boots on the ground”, in inland waterways, or on a ship. What is the Agent Orange ship list? Generally, veterans who served “boots on the ground” in Vietnam receive two presumptions. First, they receive a presumption that they were exposed to Agent Orange during their military service. Since they are presumed to have been exposed to Agent Orange, they also receive a second presumption that certain medical conditions they develop were caused by Agent Orange exposure. This presumption of Agent Orange exposure can be extremely helpful in proving to VA that certain medical conditions are service-connected. Veterans who benefit from this presumption do not have to produce the medical evidence to prove that Agent Orange exposure caused these presumptive conditions. But, what about Vietnam veterans who served primarily on ships? Do those Vietnam veterans benefit from the Agent Orange presumptions? If a veteran’s ship is on the list, the veteran is potentially eligible for the Agent Orange exposure presumption. Some of the five categories on the list require the veteran to provide additional evidence to qualify for the presumption. For example, a veteran in categories 3, 4 or 5 may need to provide a lay statement that the veteran actually went ashore. How can I get a copy of the ship list? Our office will be happy to provide you with a copy of the Agent Orange ship list upon request. Just call our office at (770) 214-8885 or complete and submit the consultation request form and put in the notes for that form that you would like a copy of the Agent Orange ship list. What if I have already been denied for a condition that was presumptively caused by Agent Orange? VA updates the Agent Orange ship list as new information comes in about ships. If VA gets sufficient evidence to show that a ship qualifies for one of these five categories, then it should add that ship to the list. Just because you were denied Agent Orange benefits when you applied in the past does not mean that you will always be denied if you reapply and reopen your claim. If your ship has been added to the list since you were last denied, you should be able to qualify for benefits by reopening your claim for VA disability compensation. You would just need to show that you have a medical condition that is presumed to be caused by Agent Orange. If you want to find out more information about the conditions that VA presumes to be caused by Agent Orange exposure, just read this article I wrote that discusses it in more detail. What if VA awards me Agent Orange benefits but does not award them back to the date I originally applied? VA may award you disability benefits but not take you back to the original date you filed for benefits. This can happen with Agent Orange claims because VA denied you originally but then awarded benefits after your ship was added to the list. The important question is what effective date VA will use for your claim. Normally, the effective date is based on when you file your claim. When you reopen a claim later by filing another application for benefits, your effective date is often the date that you reopened the claim. But, VA has special rules for Agent Orange claims. These special rules may make it possible for you to get an earlier effective date that goes back prior to the date you reopened your claim. If VA does not take you back to the date that you originally filed for Agent Orange benefits, then you need to consider appealing that decision to get the correct effective date and receive the benefits you should. What if I want help appealing my VA claim? If VA incorrectly denies your Agent orange claim or gives you the wrong effective date, you should appeal their denial. It is often helpful to have a veterans disability attorney review VA’s denial to see what can be done. We provide free consultations to veterans and their families to help them make sure they receive the benefits they should from VA. This article I wrote discusses more about how our free consultation process works. If you decide to hire us, you only pay us if we are successful in recovering benefits for you. 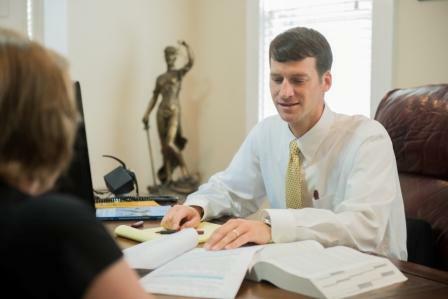 If you would like to schedule a free consultation, it only takes a couple of minutes to get that process started. You can either call our office at (770) 214-8885 or complete and submit our free consultation request form. Should I Get A Free Consultation About Veterans Benefits?